Finland’s metal scene is fantastic. Many great bands have come from those cold shores, Children of Bodom perhaps the biggest in recent years. Meanwhile, in a quieter corner of Finland, Noumena have been releasing quality Scandinavian melodic death metal since 1998, not deviating too much from their established formula until now. 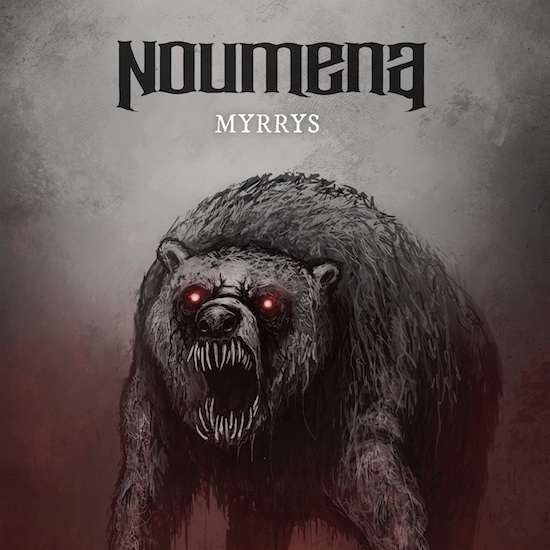 The band’s latest release Myrrys – with a demonic bear gracing its cover – suggests something aggressive and dark. For the most part, Myrrys is both of those. The Finnish six-piece know their way around the melodeath sound. For just the second time, Suvi Uura provides a melodic, beautiful balance to the aggressive death growls of Antti Haapanen. Her operatic vocals helping to lift the record to new heights. The two combine to good effect, enhancing an album that is otherwise a little stale. There are swirling guitar solos, chunky riffs and epic moments aplenty, but none of it is particularly inventive. Haapanen’s dark vocals are quite deep and unlike many other bands from this part of the world, Noumena doesn’t employ the help of a keyboard to tell its stories. Despite the small differences, however, if you’ve heard any kind of Scandinavian melodeath, you will have heard at least some of what Myrrys is doing. Despite the lyrics being entirely in Finnish (a first for the band), it’s easy to get that Myrrys is an album full of melancholic stories – this isn’t a thematically fun record. You can feel the sadness and darkness pouring out, particularly through Uura’s dulcet tones. The melodies tell the stories better than any lyrical understanding can – Myrrys sounds authentic. While none of it is greatly virtuosic, it does the job ably enough. Myrrys is an enjoyable record despite its dark, melancholic sounds. ‘Murhehuone’ is a highlight of the record; it mixes the best elements of Noumena together in a track that focusses a little heavier on the band’s more inventive side – you get a quiet acoustic opening, and a slower, atmospheric section just over three minutes in. Despite ‘Murhehuone’, however, it’s quite tricky to separate one track from the next, but this is down to the band’s flow. ‘Kohtu’ starts as ‘Syvällä Vedessä’ ends. Uura’s powerful, yet sombre voice filling out a simple piano tune. This is a well-rounded record. 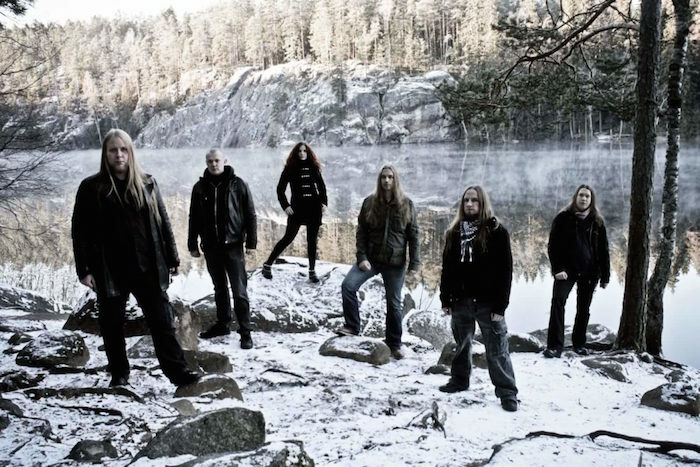 Each section has a part to play, from the traditional Finnish folk-inspired pieces as found in the likes of ‘Sanansaattaja’ to the faster parts of ‘Sanat pimeydstä’ which draw from a clear Iron Maiden influence. Despite everything it does well, however, Myrrys never moves beyond the sum of its parts. It’s missing the spark that made so many in the Finnish metal scene greats. It’s a little too basic, despite everything it tries. The most prominent issues with Myrrys come in its recording and overall heaviness. Sounding like the classics from the 1990s is fine, but music production has moved on since then. Myrrys lacks the crunch found in most contemporary metal records, opting for a slightly more muffled sound that highlights the vocals. Adding to this, it would have been nice if Myrrys were just a tad punchier. A little more ferocity would have gone a long way. Myrrys is a decent record, with two brilliant vocal performances (particularly from Suvi Uura) that tell tales of Finnish nature and heritage. The band’s switch to Finnish didn’t hurt their storytelling, which is complemented rather well by some solid, if unspectacular, musicianship. Despite all that it does well, Myrrys never moves beyond the realm of good metal. You won’t be able to shake the feeling that you’ve heard it all before. With a bit more to it, Noumena’s subsequent output will have more staying power. 1. Check out Catherine Fearns’ article exploring Children of Bodom’s classical sensibilities.